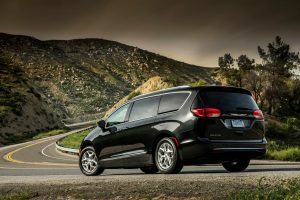 The experts at Car and Driver have named the 2019 Chrysler Pacifica and the all-new Ram 1500 to their “10 Best Trucks and SUVs” list as the winners in the Van category and the Full-Size Pickup truck category, respectively. Car and Driver evaluates each contender against its peers using a 100-point scale, basing each store on how well it meets its intended purpose, how good a value it is and how compelling it is to operate. This is the third year in a row the Pacifica has been named one of Car and Driver’s 10 Best. Car and Driver is known for its expert editorial team that is highly regarded by car enthusiasts and automotive manufacturers for its integrity, engineering insights, and high standards. The magazine is published monthly by Hearst, boasting the largest audience of any monthly automotive magazine. The Car and Driver brand is also a leading online source of information for automotive enthusiasts and in-market car buyers, delivering comprehensive coverage of the automotive landscape to 13 million users each month. So, if you are in the market for a new vehicle, you owe it to yourself to see what these 2 models are all about. Pay a visit to our dealership in Nampa to take a test drive.